Do you have a large blank wall that you don’t know what to do with? I’m sure you have many! 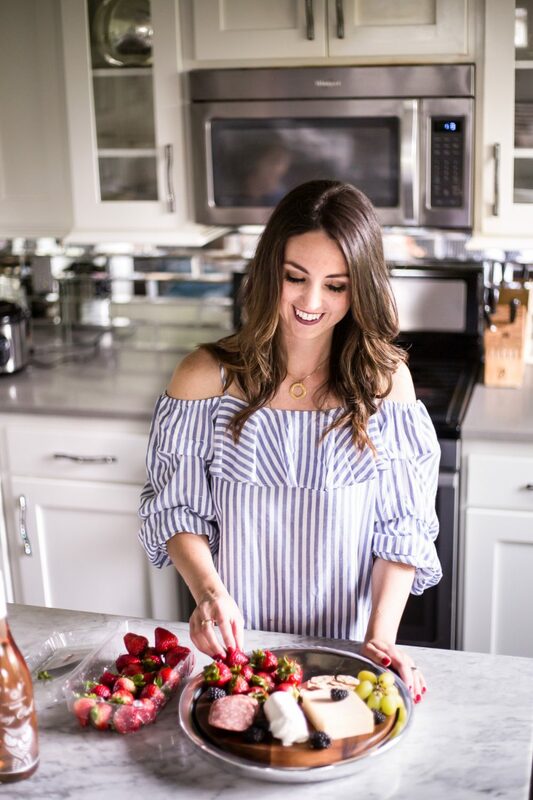 There are so many simple things you can do to give character to the space without just hanging a bunch of pictures and shelves! Sometimes a space just needs a beautiful accent wall to bring it all together instead of decorating with more STUFF! I love a good accent wall and over the years I’ve done many of my own. 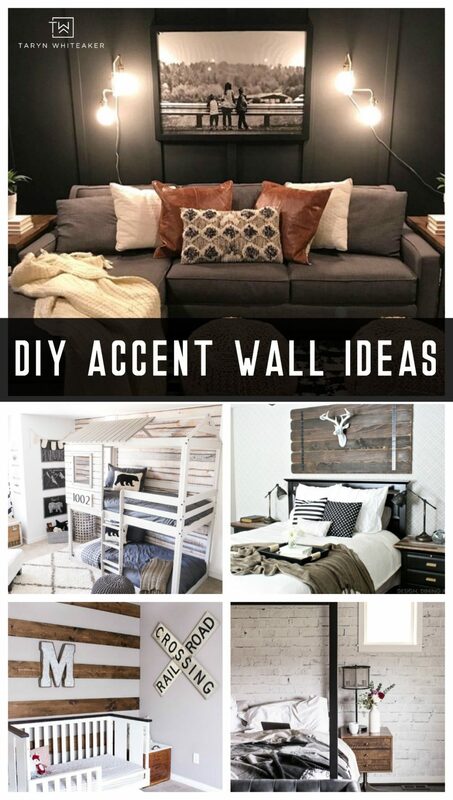 I wanted to take a second to share some DIY Accent Wall Ideas with you to spark some inspiration. 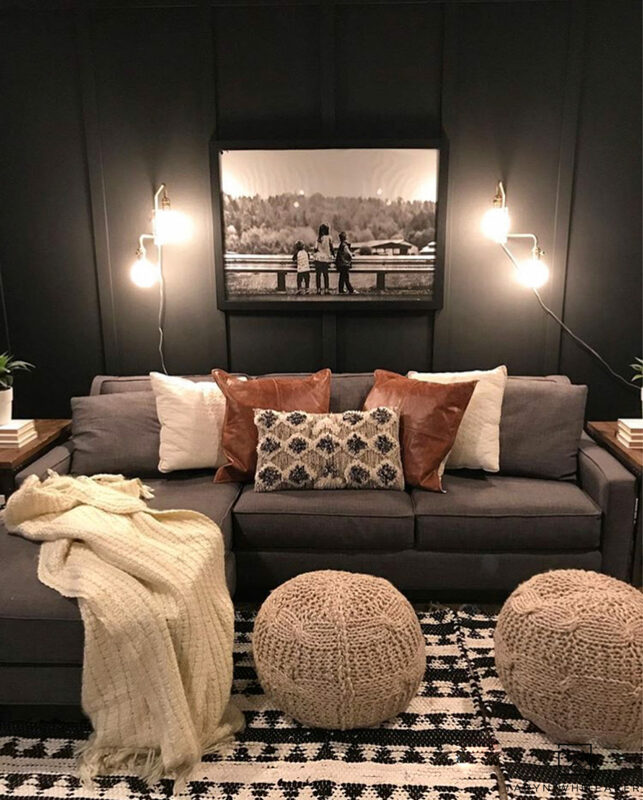 Dark moody paint colors are trending right now and I love them too! We added this dark, almost black accent wall to our movie room last year. Instead of just using paint, which can be a little boring, I added some trim details to give it dimension. Click to see the full space! Wallpaper is another easy way to add an accent wall and bring a unique pattern into a room. In our outdoors inspired boys room I added this faux white washed wood wallpaper and added a little molding in here as well. I was able to maintain my neutral palette but add texture to the room with the pattered wall paper. There are many wall paper companies out there with tons of beautiful patterns and murals to choose from! I loved our previous wallpaper wall so much that I decided to add another one to our home! This time I used a removable wall paper mural. It was extremely easy to install and you can peel it right off when you want to change things up! 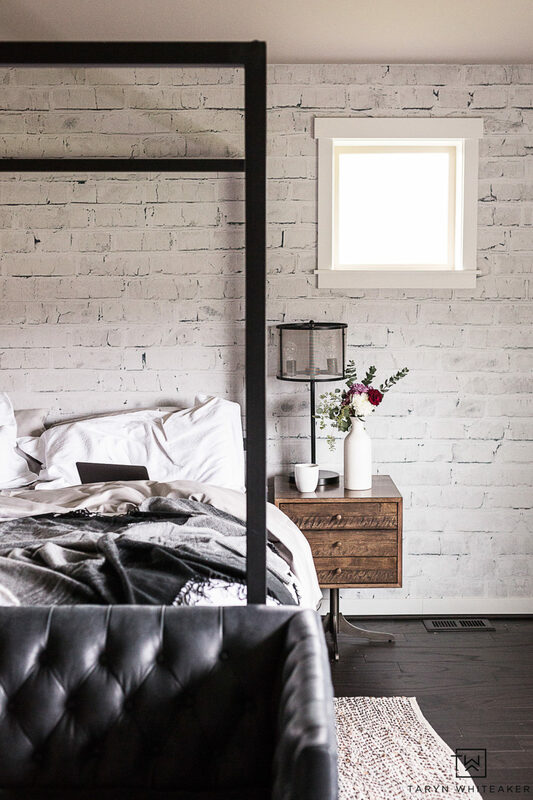 I went with this white washed brick wall mural and I love the contrast it adds to our bedrooms. We were able to maintain the black and white look I wanted in here but also give it a rustic touch! 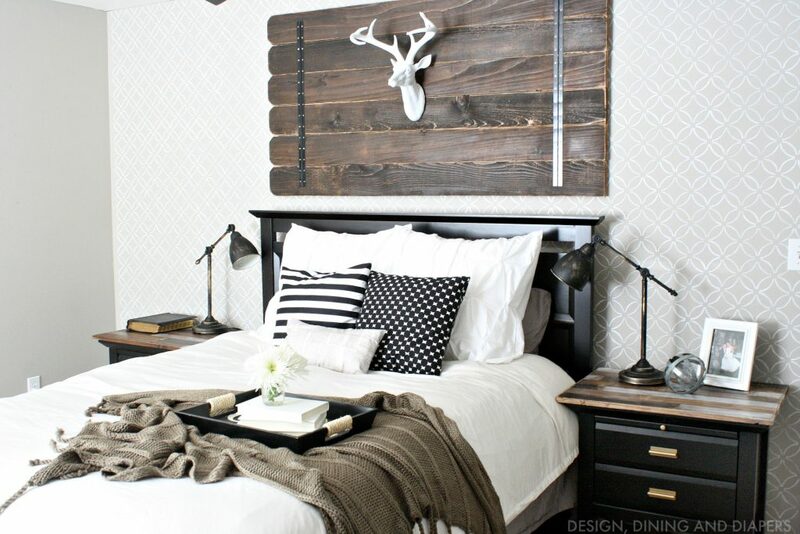 If you want to forego the wallpaper and go straight to the real stuff, you could do a real wood accent wall! 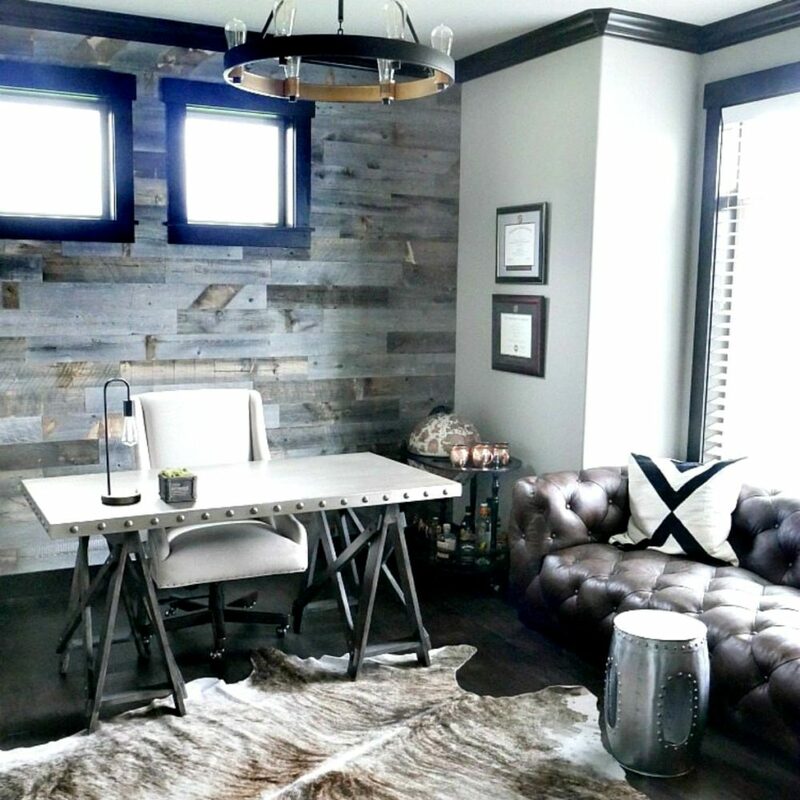 In our home office I added this Weathered Wood accent wall using Stikwood and I love it! It was an extremely easy project to install and it looks beautiful. 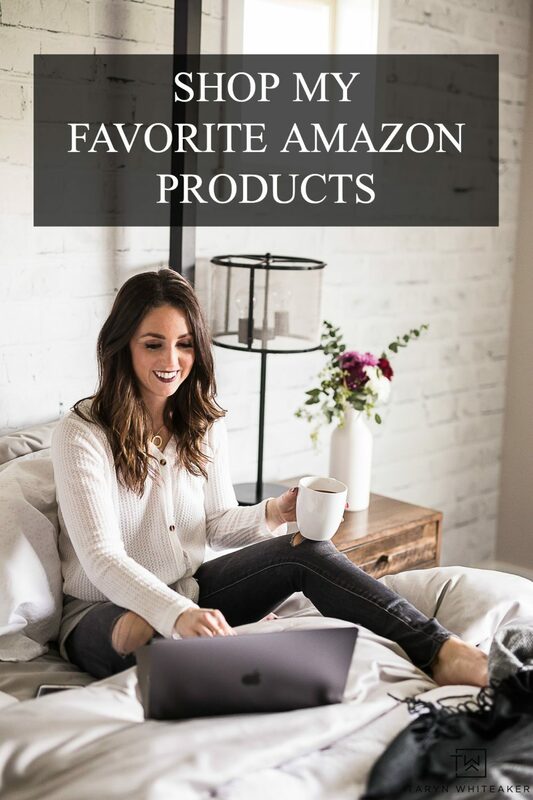 This product is definitely on the pricier side but it’s quality. 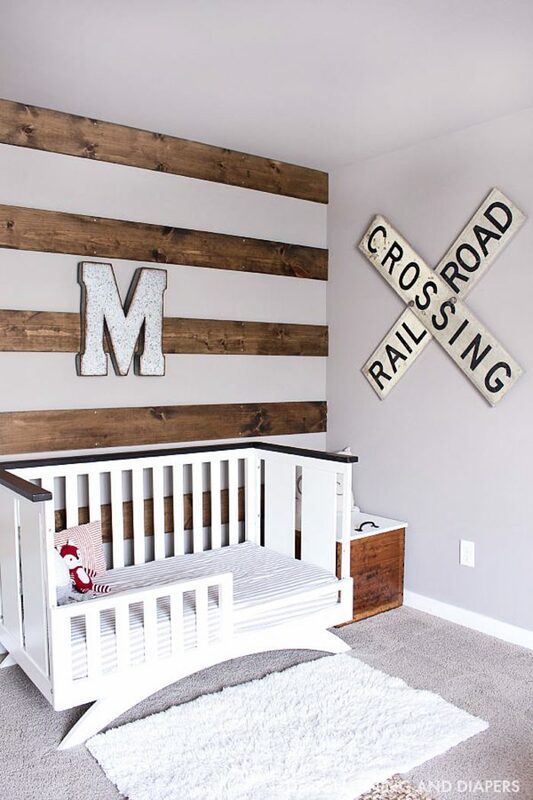 Instead of doing a full wall, try something unique like this DIY Wood Striped Wall! I installed this in my son’s nursery and it has stayed in his room has he has transitioned into a big boy room. I still love it and that it adds actually 3D element to his room. Below is a more recent pic of how it room looks now with it! 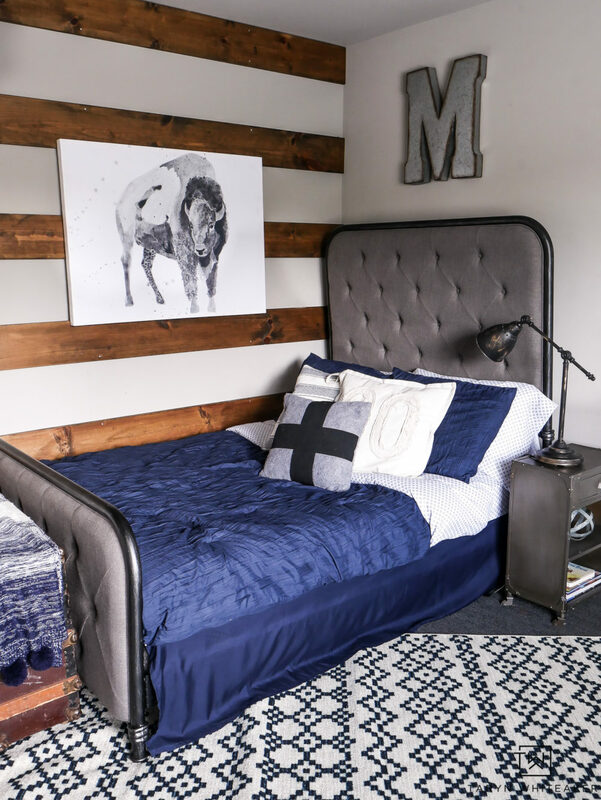 In our previous master bedroom I took on the big project of stenciling an accent wall! Now, this took A LOT more time than I ever imagine and it was actually a lot more tedious than installing wall paper, but it is very economical. Shiplap walls are still extremely popular and are really easy to install. 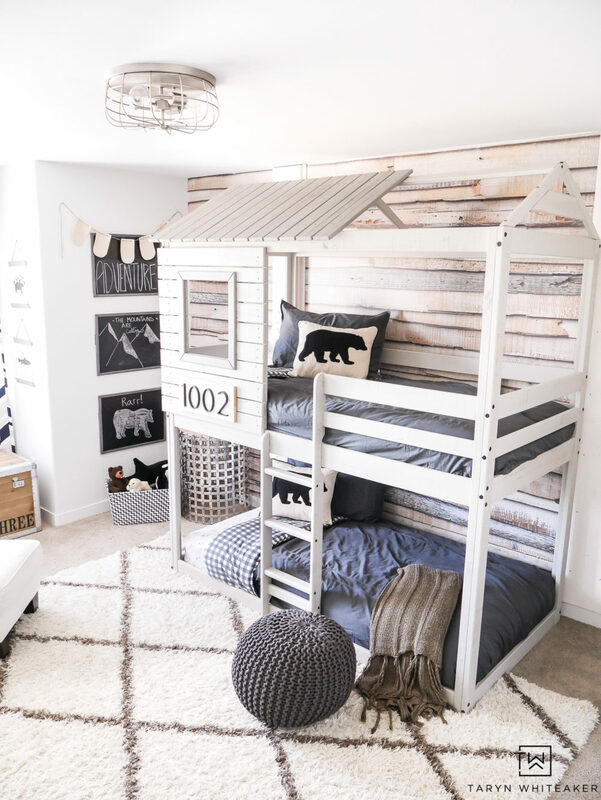 This is the one I installed in our daughter’s old bedroom, I never fully finished this space as we ended up moving but I loved how it was turning out! Hope these were able to spark some new ideas! Accent walls don’t alway shave to be just paint, they can be so much more!